To Spec or Not to Spec? There are really two questions intertwined in this subject. How much time and effort should be invested in “spec” (short for “speculative”) projects? And is it worth it to create original work for contests (or open calls)? Admittedly, the answer to these questions depends on the stage of one’s career and the medium in which one works. A poet or writer’s work is essentially fungible: it can be printed anywhere with little change (although something written with a specific audience in mind may have trouble finding a home elsewhere). A composer who writes notated music, however, still has to get their composition into the hands of performers to bring it to life (a performing composer, or a studio composer who can realize their composition electronically, doesn’t face this hurdle in the same way, of course). In that sense their “product” is more like the script for a play or movie, and is only finished in performance. I’m going to speak from my own experience, but I’m interested in viewpoints from other fields, such as film or computer games. Comments are welcome! As a composer, I’ve seen this from several different perspectives. I’ve composed pieces that were exactly what I wanted to hear, without any regard to potential performances; I’ve been fortunate to receive offers to write music for specific performers and events. I’ve had the opportunity to program concert series as a conductor, and been a performing member of chamber groups; in both cases, that gave me the ability to compose or arrange music for a specific ensemble and ensure that it would be performed. Every piece is different, and not just musically: the known and unknown factors—including the abilities of performers, the amount of rehearsal time, and the nearness of the performance date—influence decisions made in the heat of creation. When just starting out, almost any work of art is, by necessity, created without knowing whether it will have an audience. * Art or music schools are, in part, venues where students are expected to create and display or perform, both to develop skills and good work habits and to build a portfolio, a track record for future work. Whatever you might say about such institutions, I’ve always found it energizing to be surrounded by people with a similar passion for creation and who are actively engaged in projects. That simple question “What are you working on?” that passes for small talk among artists is a constant reminder that you’re not the only one working to get those ideas that have been rattling around in your head out into the world. If you’re lucky, you might find a supportive colleague whose enthusiasm for your work can be encouraging when you feel your inspiration or energy flagging. Whether fueled by competition or camaraderie, motivated people are motivating to be around. On the other hand, as I mentioned in my very first post here, it’s easy to talk about projects instead of working on them. Do you know someone who always has great ideas for stories, movies, comics, songs, et cetera? They want to tell you all about it, but it never seems to materialize. I’ve been that guy; most of us probably have been at one time or another, and I’ve put myself on guard against talking up ideas that I haven’t put any work into, to the point that I’ve sometimes lost sight of how sharing an idea can build enthusiasm for it. This is the downside of perfectionism: working in solitude, even secrecy, until everything is just right. Some of those compositions I wrote with no set performance in mind now reek of the hothouse to me, overwrought and impractical. At least I was able to cross the hurdle of finishing things, but even that must be learned—it’s hard to let go sometimes. Again, knowing that someone, somewhere, wants to see or hear your creation is a great incentive to putting a double bar or writing “The End” on your baby. As I’ve gotten older, it’s harder and harder for me to pick up the pen to write unless I know there will be someone to perform it. Many of those youthful pieces were written not just on “spec” but on faith, and were driven by internal necessity. Most of those pieces got performed eventually, but not all, and ultimately I don’t consider a composition finished unless I can at least get a reading, so it’s in my interest to be realistic. Ultimately, life’s too short. Having said that, there have been numerous times that I’ve read the description of a contest, and, totally against my will and better judgment, had an idea pop into my head that would be just perfect. Most of the time, I have to let things like that go—see that bit about being realistic, above—but if I think I have enough time, and if it’s something that might have legs apart from the contest itself, I’ve been known to try to pull off original work for things like this. An idea is an idea, and once it takes hold it’s not always easy to shake. So, what are your thoughts? Where are you in your career, and to what degree does someone else’s interest in your work influence what you create? What’s your opinion of contests and open calls in general? Are they for suckers, or have you been inspired by one to come up with something that fits the requirements? I hope to hear from you in the comments! * Actually, this never goes away, as the shifting sands of taste and the arts economy can derail the plans of even the most established artist, and the more expensive their medium, the more those outside factors can influence what gets made. Still, if being “established” counts for anything anymore, it’s having some kind of fan base that can be expected to turn out for your latest project. I’ve previously shared some of my thoughts on medleys, and my interest in them as a genre unto themselves, and the upcoming observation of Kansas Day (January 29) is as good an opportunity as any to share one of my own. 2011 marked the 150th anniversary of Kansas’ statehood, so in advance of that date I suggested to Bill Johnson, director of the Senseney Music Community Band here in Wichita, that I compose a work to honor the anniversary. Since the band didn’t play during January, the finished work could be performed during the band’s summer season (months after Kansas Day, but still within the anniversary year). He expressed his interest and I got to work. I’ve been involved with the Senseney Band for many years, and have written for them before. It is a community band, open to any adult musician without an audition, but standards are high and everybody who plays in the group knows what is expected. Many in the group are professional musicians, and many more are trained musicians who happened to make their careers outside of music. Still, to cope with the varying levels of ability, I would compose with an eye toward keeping the most difficulties in the first parts and making section parts easier (early on, we thought we might perform this work with high school or other community bands joining us, which would also be made easier by this practice). In the year or so leading up to the planned premiere, I did what most composers do: I procrastinated. Well, I called it “research.” I read up on Kansas’ aviation history; I learned about the Kanza and Wichita Indians; I read In Cold Blood and listened to “Wichita Vortex Sutra.” I imagined multi-movement forms, cyclic works, pieces that would take the audience from the prehistoric ocean that once covered the plains through important moments in Kansas history and beyond. I pondered the essence of Kansan-ness and how best to express it in music. I gathered far more ideas than I would ever be able to fit into one piece. I compiled notebooks of clippings and quotations, made a few sketches, and dreamed about it. But before I was able to really get started on it, I had other things I needed to finish. I was teaching and conducting. I had a family. Mostly, I had to complete a concerto my brass trio was scheduled to premiere in February 2011, and I was scoring the orchestra accompaniment all the way into January, so I had a late start on the community band piece. Ultimately, the short lead time turned out to be a blessing in disguise. Whenever I’m asked how long it should take to write a piece of music, I think the best answer is, “long enough to get the details right but not so long that you lose focus.” In the past, projects I was working on tended to get bigger and bigger, with no end in sight, and while deadlines helped, they didn’t always stop me before things had snowballed out of my control. I still have that tendency to want to keep adding details, but now I’m more realistic about how much I can get done in a limited amount of time, and perhaps have a better sense of proportion when it comes to works in progress. On the one hand, I had been thinking a lot about this piece for a year or more before I put pen to paper; I believe that the unconscious mind is often at work on artistic processes, and what seems like inspiration is often the result of mental preparation. On the other hand, time was short: with just a few months to compose, score, and edit a work for full band (no easy feat, if strictly from an editorial standpoint), I looked for the most direct entry point: Kansas’ Civil War history. 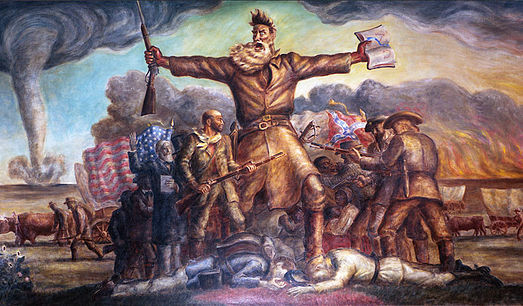 In the decade before Kansas’ statehood and the beginning of the Civil War, the territory was a hotbed of violence between pro- and anti-slavery forces, fighting to determine whether Kansas would enter the Union as a free or slave state; the dispute came to be known as “Bleeding Kansas” and was a prelude to the larger Civil War. There would be plenty of material for me to use. With those connections in mind, I chose three songs that could be shaped into a dramatic arc: first, “Ho! for the Kansas Plains” was written by abolitionist James G. Clark of Boston, Massachusetts in 1856 after the sacking of Lawrence by pro-slavery forces. His intention was to encourage anti-slavery activists to head to Kansas and lend their voices and arms to the cause. The lyrics read in part, “Huzza for the prairies wide and free; Ho! for the Kansas plains; Where men shall live in liberty; Free from a tyrant’s chains.” I found this song through an online search of the Library of Congress; I used only the chorus, freely reharmonizing the melody. Its 6/8 meter and obvious character as a marching song made it natural to arrange and develop in the style of a military band march (beginning at 2:17 in the audio clip embedded below, after a good deal of mood-setting introductory material). The second song I chose was “The Vacant Chair,” a song written by George F. Root in 1861, and a longtime favorite (for singers and instrumentalists, including bands) in North and South in the decades after the war. The lyrics, from a poem by Henry S. Washburn, lament the absence of a fallen soldier: “When a year ago we gather’d, Joy was in his mild blue eye, But a golden cord is severed, And our hopes in ruin lie.” In my arrangement, the verse is first played by a solo trumpet (George Naylor) in the aftermath of the noisy battle music. The refrain (“We shall meet, but we shall miss him, There will be one vacant chair; We shall linger to caress him, When we breathe our evening pray’r.”) is taken up, first by the horns as a ghostly funeral march, then by the rest of the band as a triumphal anthem, leading to the climax of the entire composition. I first learned this song from an old collection called The Blue Book, but it can also be found in Dover Publications’ The Civil War Songbook, edited by Richard Crawford. Finally, how could I not include “Home on the Range”? Kansas’ state song, “Home on the Range,” was written in the 1870s by Dr. Brewster M. Higley and Daniel E. Kelley, and thus looks forward to the space and freedom the plains afforded settlers after the war. The song is more freely arranged and combined with music from other sections of the piece, representing the resilience and indifference of the prairie, which was there before and continues after the bloody events that accompanied Kansas’ birth as a state. 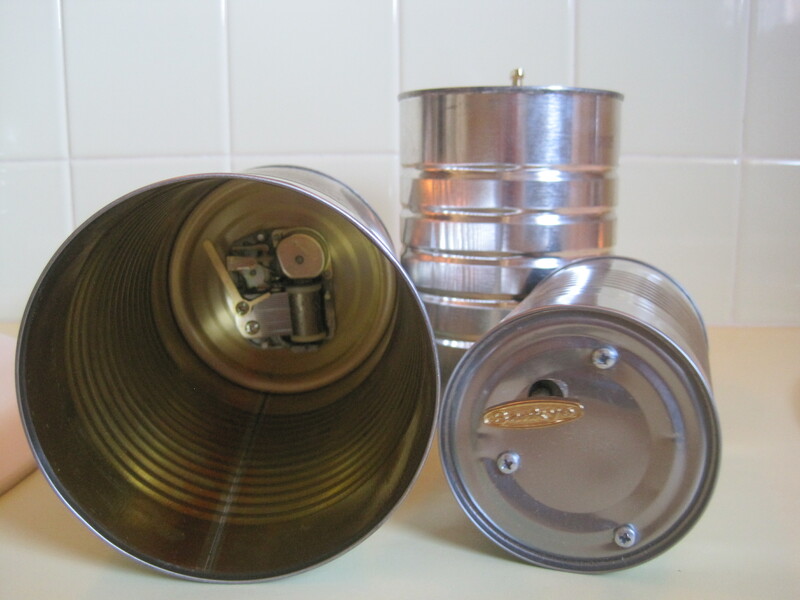 During this section some members of the band play music box movements mounted in tin can resonators; I’m interested in both mechanical musical instruments and ways of introducing handmade craft into the musical experience, so I had been experimenting with these for some time. 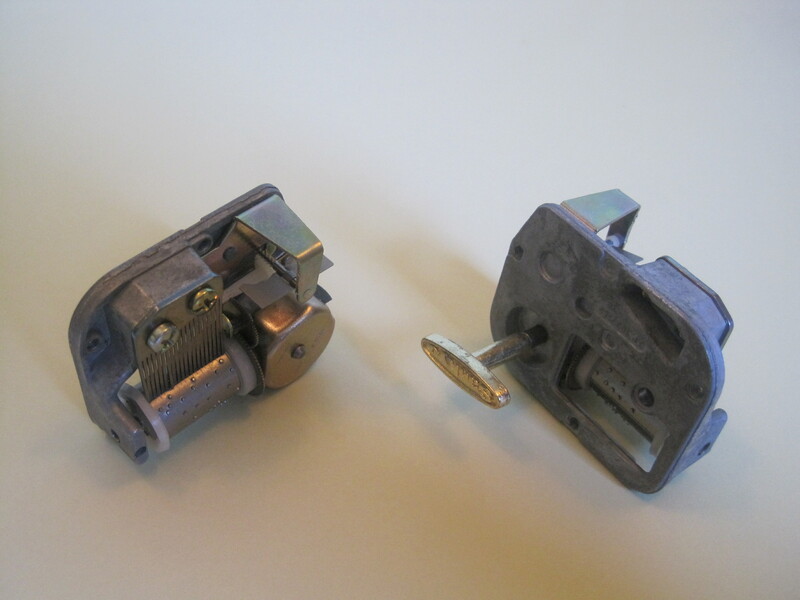 The first few I put together were salvaged from music boxes that were otherwise broken, but for this I would need at least two dozen to create the “field” of tinkling, overlapping melodies I had in mind. (They can be heard starting from about 6:35.) So in the months leading up to the performance, I got several cases of music box movements and screwed them into empty cans in my garage. Probably even more would be useful in creating the desired effect; it depends on the number of players over all and the dimensions of the performance space. Combined with the layered statements of “Home on the Range” in the winds and bells, the music boxes are meant to evoke Kansas’ motto, “Ad Astra per Aspera” (“To the Stars through Adversity”). The ending is hopeful, but tinged with the shadows of the past. Finally, a great big thank you goes out to Bill Johnson and all the members of the Senseney Band for the hard work they put into this piece back in 2011. It is always helpful for a composer to be able to work directly with an ensemble; numerous changes were made during the rehearsal progress, both to clarify my intentions and to get the best results, and everyone in the band was very supportive and helpful in making this project come together. In the end we performed it three times (another luxury I don’t always get! ); the recording here is from the second performance. Thanks for listening! My review of January 18’s performance of the Wichita Symphony Orchestra, as it ran in The Wichita Eagle. I didn’t set out to become a vinyl collector. The first couple of records I owned myself as a kid got so scratched up through carelessness and deliberate “misuse”—I wasn’t exactly trying to imitate the DJs who spun hip-hop beats, or “breakdancing music” as my friends and I called it, but I was fascinated by how changes of speed and direction altered the recorded sound—that they were nearly unplayable. Later on, my dad encouraged me to record my new albums to tape so the vinyl wouldn’t get worn out. Combine those experiences with a few warped records encountered here and there, and I was left with the impression that vinyl records were a lot more fragile than they really were. Nevertheless, when I was a teenager records became irresistible to me for a couple of reasons. The arrival of the compact disc in the late 1980s convinced many people that vinyl was going the way of the vacuum tube, and lots of them dumped their record collections for pennies, or for nothing: it wasn’t an uncommon sight for a box of old records to be left on the curb with the trash, free for the taking. When I was scouring garage sales and junk shops throughout the 1990s, the number, variety, and sheer strangeness of the records I encountered (not to mention the low prices for which they were selling) made them much more desirable than when I was a kid and they seemed both fragile and overpriced. Many people were upgrading their collections to the new format (there were recurring jokes along the lines of Dennis Miller’s complaint that he was buying Meet the Beatles for the fourth time), but there was also a generational turnover: among the outlets I frequented were garage sales by downsizing retired couples, as well as estate sales. In some cases the audience for the first wave of “easy listening” and “mood music” LPs was aging out, and their grown children had no interest in keeping the music that had (undoubtedly) driven them into the waiting arms of rock and roll in their own youth. Indeed, for a few years, practically any place that sold used goods—antique stores, flea markets, thrift shops, and more—would have records, and I was always, always compelled to look through what they had to offer. When I was a student at Wichita State University, there was a regular (every three semesters) sale held to raise money for the music department, and I’d spend a good part of the sale week between classes browsing boxes of donated records (along with books, sheet music, and other items). My collection swelled. In general, the less specialized the store was, the better: record stores were (generally) staffed by people who had an idea their wares were valuable—although the weird stuff I was looking for was usually in the bargain bin anyway—but thrift stores weren’t picky, and everything might be priced at fifty cents or a dollar apiece, cheap enough that I could gamble on a promising cover. Years later, when I saw the hip-hop DJ documentary Scratch, I learned about a gizmo some of the crate-diggers used to audition records before they bought them: a motorized toy truck with a needle on the front and a tiny speaker inside. The truck would “drive” around the record, the needle keeping it in the groove as the sound played through the little speaker. Brilliant! As it was, I usually had to rely on the appeal of the cover or my sketchy knowledge of the artists involved. Yes, I have this in my collection. Be jealous! And what covers they were! The LP was a miracle of packaging and marketing: its twelve-inch square cover was a perfect canvas for beautiful (or at least striking) art, suitable for framing, an advertisement for itself. If the music inside turned out to be good, that was an added bonus. 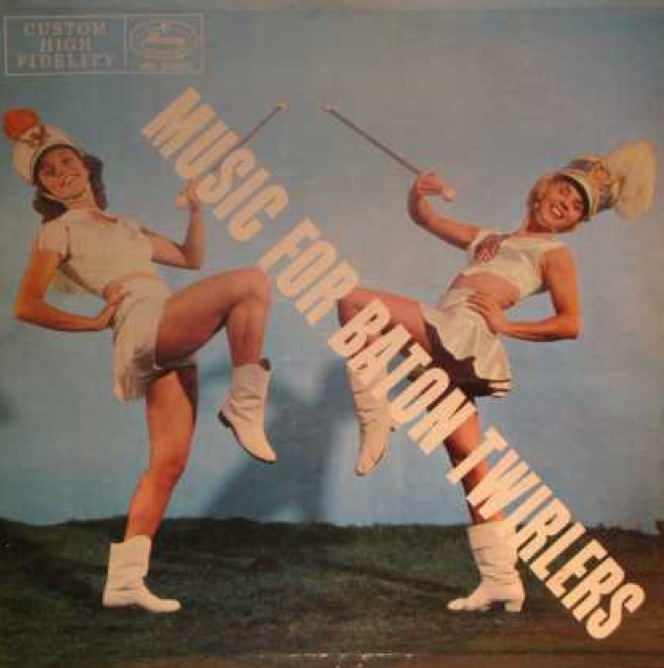 Sometimes the contents were merely conventional: with the right cover and some creative liner notes, a collection of military band marches could be sold as Music for Baton Twirlers, and an album of bump-and-grind studio jazz packaged as How to Strip for Your Husband. In both cases, the music is pretty good, but what sticks are the pop art covers and the impulse toward functionality, toward treating music as an accessory to one’s lifestyle, common enough in the hi-fi ‘50s. I was already exploring this territory when RE/Search Publications’ Incredibly Strange Music series arrived and handed me a map to make sense of it. Founded in San Francisco by series editors Andrea Juno and V. Vale, RE/Search began as underground ‘zine Search & Destroy; by the time I encountered them, it had developed into a series of books dedicated to “fringe” topics: freaks, body modification, cult films, and challenging artists such as J. G. Ballard, William S. Burroughs, and Brion Gysin. 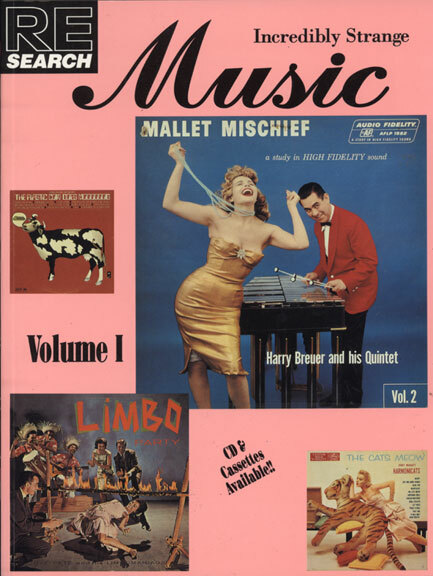 Incredibly Strange Music Volumes I and II were Numbers 14 and 15 in the series, published in 1993 and ’94, and the series’ format showed its magazine roots, consisting of interviews with musicians (including the Cramps, Eartha Kitt, and Jean-Jacques Perrey in Vol. I), collectors, and assorted eccentrics, as well as short articles on aspects of the recording industry. First and foremost, the series was a celebration of the incredible diversity of music recorded on vinyl (especially in the heyday of the LP, from the 1940s to the ‘70s), most of which was in danger of being forgotten. A theme that runs through many of the interviews is that, in addition to vinyl’s superiority over the CD (a given for many audiophiles at the time), a vital popular heritage was in danger of being swept away because only the established classics were being converted to CD. People were throwing records away in order to go digital, but many of their vinyl albums might never make that transition! Incredibly Strange Music became, in effect, a guidebook to the kinds of records I might find, and an informal checklist of specific artists and titles to look out for. Records were about more than just music: for example, Mickey McGowan, proprietor of the “Unknown Museum,” listed such categories as bird recordings, sound effects, promotional, soundtracks, celebrity recordings, outer space (often including electronica), comedy, children’s records, and whistling records, among others, when discussing his collection. Recovering once well-known artists like Indian organist Korla Pandit or the exotic, multi-octave vocal phenomenon Yma Sumac from obscurity was another goal of many of the collectors interviewed. A feeling common to many collectors, and reinforced by the interviews in Incredibly Strange Music, was one of cultural archaeology: we were all doing important work, rescuing the cultural flotsam that wasn’t considered significant enough to preserve in libraries or conventional museums. The implication that professional product is too slick to be authentic, and that music like The Shaggs’ comes straight from the heart (or the id, or possibly from another dimension), and is thus more honest, is one that’s been around for a while, and it can be problematic. Not necessarily wrong, mind you—there is always a point at which the inquisitive listener seeks to go beyond what they’ve grown up with, what they’ve been exposed to by their parents, the radio, and the surrounding culture. Something like The Shaggs may be just what it takes to start such a listener exploring, and I’ll accept the sincerity of Zappa’s praise of The Shaggs, or that of early Shaggs booster Tom Ardolino (who claimed to hear a resemblance between the Shaggs and early Ornette Coleman), whether or not I agree with it. Such praise can often be backhanded, though: would notorious perfectionist and technician Zappa have wanted the Wiggin sisters in his band? I think we know the answer to that. Any appreciation of outsider art that veers into ironic “so bad it’s good” praise, celebrates a lack of craftsmanship or obscurity for its own sake (especially as a form of one-upmanship: “You probably haven’t heard of it”) can be interpreted, deservedly or not, as either mean-spirited or simply contrary—in either case, inauthentic. You might even invite the dreaded “hipster” label. Similarly, the assumption that an outsider artist can be “redeemed” by official recognition or appropriation by someone in the establishment is troubling. As much as I love Tim Burton’s Ed Wood, for example, its existence doesn’t validate the gonzo creations of its eponymous hero: it doesn’t have to, for they exist on their own and are worthy of consideration as works of art, however naïve. To treat them any other way is to perpetuate an unfortunate tendency of the fine art world to draw on folk/ethnic/commercial/outsider sources that are conveniently defined as “non-art” in order to be transformed (i.e., exploited) by a “real” artist, or to recognize the occasional genius working outside the system only after they are safely dead. Still, anyone who feels that the Shaggs are being condescended to should compare their career to that of the Cherry Sisters, who were in some ways the Shaggs of the 1890s. According to author Irwin Chusid in Songs in the Key of Z, “Effie, Addie, Ella, Jessie, and Elizabeth Cherry of Marion, Iowa, were by contemporary accounts the worst act in showbiz. Their program, Something Good, Something Sad, was so atrocious it triggered a perverse public hysteria: it played to sold-out New York houses for 10 weeks.” The Cherry Sisters’ mawkish, humorless performances (“an evening’s worth of hokey, moralistic one-acts, derivative ballads, and awkward ethnic routines,” in Chusid’s words) were greeted with such vitriol that a wire-mesh screen had to be erected across the stage to protect them from vegetables and other missiles thrown by patrons. Promoters (including Oscar Hammerstein) knew exactly what they were selling, but the sisters at least pretended not to know—they claimed the rowdy crowds were hired by jealous rival actresses to sabotage their performances. Were the Cherry Sisters playing along or hopelessly naïve? They never let on, but were able to tour across the Midwest with their show, and earned upwards of $200,000, according to some reports. Part of the process is simply hearing enough to find what you respond to. One of my favorite albums that I found in high school was called Dutch Band Organ, and it contained lively, full-sounding arrangements of syncopated pop tunes like “Cuddle Up A Little Closer” and “Did You Ever See A Dream Walking?” It is the standard by which I have judged other band organ records for twenty years. Similarly, I have a hard time imagining what the world was like when The Three Suns (a trio of accordion, organ and guitar) were representatives of sophisticated popular music, but I’m glad I found them (their early records, like Cocktail Time, are more impressive to me than the later records where they team up with a full orchestra). 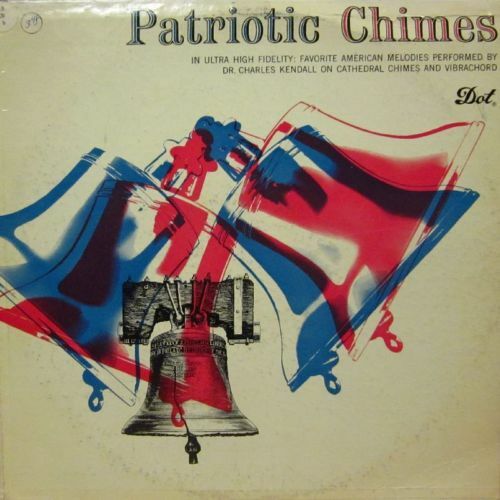 Turntable artist Christian Marclay has commented on his attraction to “deeply unhip” records for his collage-like performances, and I share that interest: I’m always on the lookout for recordings of oddball instruments like the banjo, accordion, or chimes, the seeming underdogs of popular music. They deserve to be heard, too. Much has changed since Incredibly Strange Music was published. The entire RE/Search series captures a moment, a transitional period between the underground culture of the 1970s and ‘80s and the internet culture that makes it much easier for like-minded people to find each other and share information. Many of the recordings featured in the book are easily heard online now; in fact, a great many of the vinyl oddities that were expected to disappear forever have made the transition to CD, however belatedly. Labels like Collector’s Choice and Sepia specialize in this sort of material. Even Dutch Band Organ is on CD now, something I never, ever would have expected. Of course, the CD as a format is now on the wane, replaced by streaming, even as vinyl records have made a comeback, but the older audience that presumably favors these reissues isn’t known for being early adopters, so they may be a better bet for CD manufacturers, for now, anyway. As for me, I love the options I have now, and I’m glad vinyl has continued to be relevant, but I’m glad I was in a position to explore the LP heritage at a time when it seemed like it might be gone for good. Recent news that the license to publish Star Wars comics would shift from Dark Horse to Marvel in 2015 probably didn’t come as a surprise to anyone: now that both Lucasfilm and Marvel are under the umbrella of Disney, it was only a matter of time before corporate synergy asserted itself. Already, Disney-owned properties such as the Muppets, Darkwing Duck, and the Pixar characters have been withdrawn from licensee Kaboom! (not all of them to reappear at Marvel, at least so far). It’s too bad: Kaboom! publishes some of the best comics for children around, and their books were clearly being written and drawn by creators with knowledge of and affection for the characters. Still, it makes business sense for Disney to consolidate its holdings, now that it has film, animation, and comic book outlets at its disposal. I don’t blame them at all; I’m sure it was part of their plan in acquiring those companies in the first place. 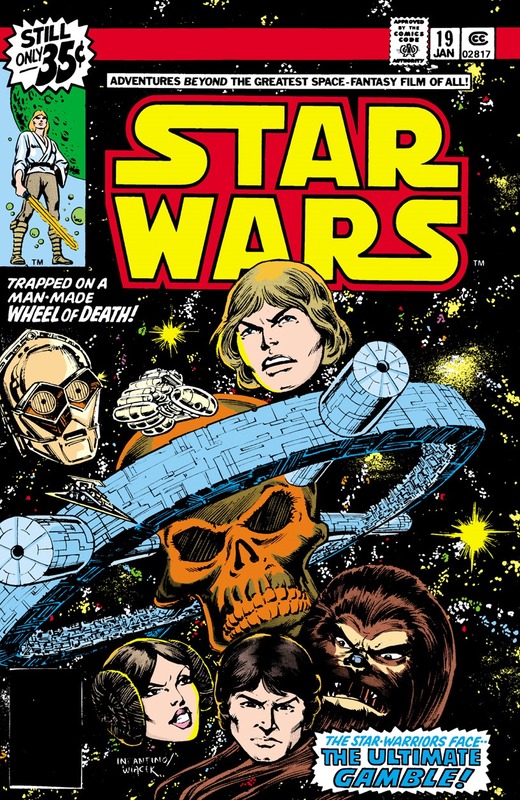 The news has stirred up memories of the often-wacky Marvel Star Wars line that ran from 1977 to 1986, and there have been a lot of jokes at Marvel’s expense. 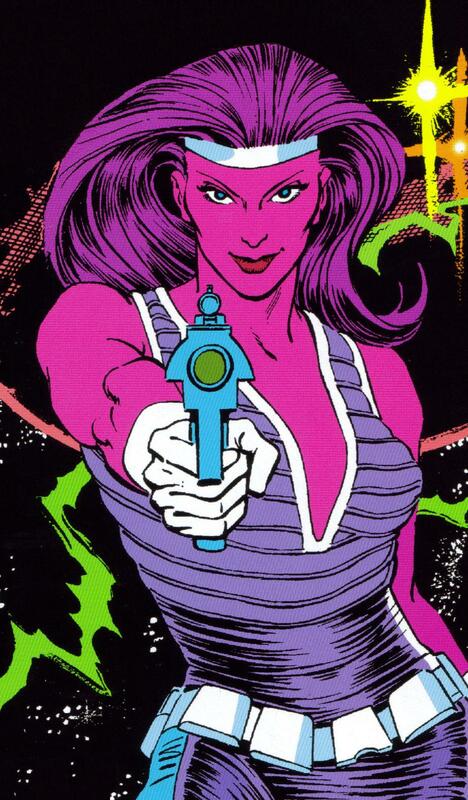 Heck, I’ve sprinkled Twitter and WordPress with my share of comments about the Zeltrons, a race of pink-skinned empaths whose sexual openness was often a source of comic relief (and pinup-worthy cheesecake) in the series. No one would deny that Marvel’s version of George Lucas’ science fantasy epic is more remembered for six-foot tall green rabbits, horny pink-skinned aliens, and a seriously off-model Jabba the Hutt than for its merits, especially in comparison to the more straight-faced Dark Horse run. 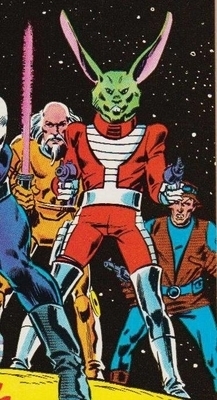 Although some of Marvel’s contributions to the Star Wars canon have been picked up and used by others (including the Zeltrons, actually), its run was compromised by its publication alongside and in between the release of the original trilogy’s films. Before Star Wars (sorry, A New Hope) was released, Marvel was already publishing its six-issue adaptation, including scenes that were cut from the final film: most notably Luke’s conversation with Biggs on Tatooine and Han Solo’s confrontation with a very different-looking Jabba the Hutt in Mos Eisley. 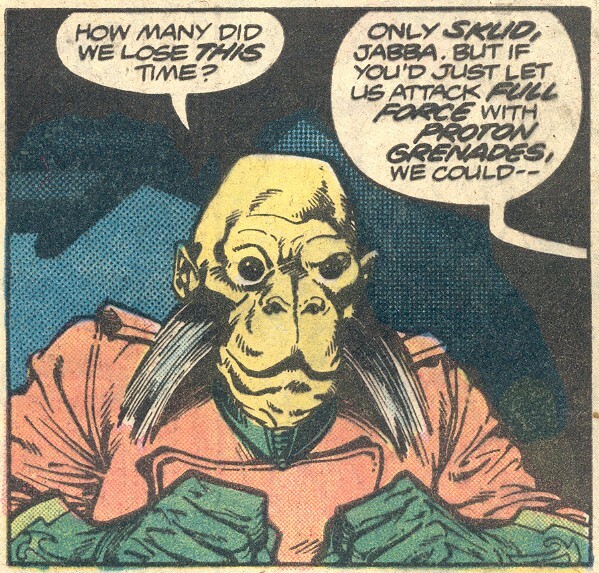 The yellow-skinned, humanoid version of Jabba would appear a couple of times in the comics, until he officially disappeared from existence, replaced by the slug-like Jabba of Return of the Jedi. To be fair, it can’t have been easy for the writers (including Roy Thomas, Archie Goodwin, and Mary Jo Duffy, among others) to spin stories out of a saga that wasn’t completed yet: the challenge was to give readers more of what they loved in the movies without deviating too far from formula or accidentally contradicting or giving away plot twists planned for the sequels (plot twists that were generally secret–Marvel’s editors wouldn’t always know they had crossed the line until it was too late). Particularly between The Empire Strikes Back and Return of the Jedi, writers were tasked with providing the illusion of change so familiar to readers of superhero comics: Han Solo could not be freed from his carbonite imprisonment, although many issues were dedicated to attempts to rescue him; Darth Vader was off the table, so there could be no answer to the question: was he Luke’s father? Some of the weirdness in Marvel’s version was also due to the relationship between licensor and licensee at the time. In those days there was simply not the expectation that film and comics be a seamless continuity: comics were exercises in brand extension, ancillary revenue streams, not sacred texts. To a large degree, the comics’ writers and artists treated the Star Wars universe as just another sci-fi/fantasy playground to be filled with weird landscapes and monsters (one story arc was repurposed from unused John Carter, Warlord of Mars artwork). Remember, this was from the same decade as Jack Kirby’s adaptation of 2001: A Space Odyssey and Whitman’s adaptation and continuation of The Black Hole. Making up and adding material was thought of as giving good value to the reader. Star Wars and its Expanded Universe would be a major influence in shaping fans’ expectations of continuity across all media, but that tighter approach didn’t emerge overnight. Still, before I was a Marvel kid I was a Star Wars kid, and the latter was a big reason for the former. I remember vividly the discovery that piqued my interest: in the box of comics I shared with my sister (about which I’ve written previously), I discovered a copy of Star Wars number 18, missing its cover. This was the first issue of a major story arc in the early days of the series, the “Wheel” saga, named after a huge space station-bound casino that is the setting of the action. I didn’t know that at the time (1982 or ’83, I would guess), and it would be a few years before I was able to read the “Wheel” arc in its entirety. What captivated me was the idea that the characters I knew from the movies were having entirely separate adventures in these comics. I tended to accept anything official-looking as gospel, so I had no trouble accepting the legitimacy of Marvel’s version (although Carmine Infantino’s square-jawed rendition of Luke Skywalker looked more like He-Man than Mark Hamill). For the first time, I became a regular comic buyer, actively looking for new issues on the stands and seeking out back issues to fill in my collection. Jumping into the series, there were many unfamiliar characters and references to previous adventures from the comics. I had a lot of catching up to do. I didn’t live anywhere near a dedicated comic book store, so I relied on trading with friends and mail order: the biggest comic book purchase of my childhood, in fact, was an order for all the Star Wars issues that were available from one of Mile High Comics’ summer sales. Mile High’s yellow two-page ads were once a common sight, and the summer sales were the best, unloading comics for 25 or 50 cents apiece. It helped that, aside from the first few issues, Star Wars had never been terribly sought-after or valuable, and at most they were only a few years old. The day the box arrived in the mail with forty issues or so—far from a complete run, but more than I had ever read at once and including many gems—I holed up in my room and immersed myself in “a galaxy far, far away.” It would be the first of many long afternoons delving into another world through comics. One of the things I liked about the comics, and which still holds up today, was the focus they were able to bring to individual characters. Many issues were solo adventures, or featured groups of only two or three characters working together in ways that the epic scope of the films didn’t always have time for. 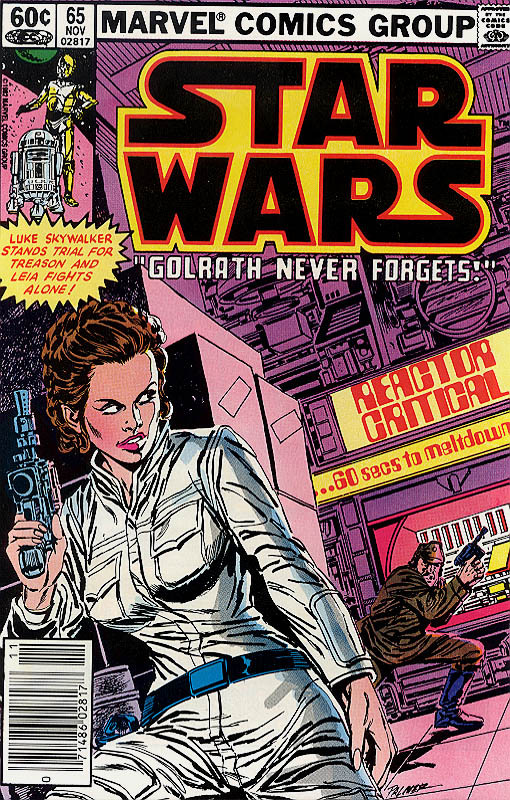 In the comics you could observe Princess Leia as a diplomat waging high-stakes games of cat-and-mouse with Darth Vader and the Empire (in “The Third Law”); Luke Skywalker’s role in the Rebellion’s space fleet could receive more attention; Han Solo, and later Lando Calrissian, could be shown in their element as smugglers, gamblers, and “scoundrels” (in flashback, of course). In essence, the Star Wars universe could support stories of action-adventure, espionage, horror, romance, and even comedy, much as the Expanded Universe still does today. It made sense: the movies were themselves indebted to many different genres, including the science fiction serials of the 1930s and ’40s; Westerns; World War II aerial dogfights; and the samurai films of Kurosawa. It was only natural for the comic book adaptations to continue in that spirit and flesh out elements that could only be implied on film. Not all of the stories worked, and not all of the original characters fit into the Star Wars aesthetic, but I still remember them fondly, from the “Wheel” saga to the the twisty, long-running story of Shira Brie, to the many, many attempts to rescue Han Solo. After Return of the Jedi, the Marvel series continued without much apparent purpose, introducing its own villains (the Nagai) and tying up threads from the comics. The writing was on the wall. I was a faithful reader until the end, but I couldn’t disagree with the decision to cancel the series after 107 issues: it had become a shadow of its former self, and by that time I had gotten hooked on Marvel’s superhero offerings. I didn’t spend much time reading the Dark Horse series–I guess I was still a Marvel kid at heart–but from what I could see the quality was good, and they made a lot of smart decisions. Unlike the Marvel series’ focus on the main characters of the film trilogy (understandable, but ultimately limiting), Dark Horse was able to flesh out the Old Republic and other settings within the Star Wars universe. They even obtained the rights to the Marvel run and released it in a handsome series of trade paperbacks, a fitting tribute to an imperfect but often richly entertaining saga, and a challenge to the assumption that everyone involved would rather forget it existed. With the distance of time, new and old readers alike can approach these adaptations, see that there was more to it than green rabbits, and make up their own minds.